Gorgeous 35mm print from the Sony Archives! Cliff Robertson directs, co-writes, and stars as J.W. Coop, an aging cowboy determined to make up for the time he lost in prison. As he struggles to adjust to the radical changes in both society and his bronco-busting sport during his incarceration, he’ll fight to seize a second chance in the ultra-competitive world of high stakes rodeo. While his disturbed mother (Geraldine Page) may stand in the way of his comeback, a new relationship with a liberated woman (Cristina Ferrare) will help guide the way. Clearly a labor of love, Robertson shines a light on a rarely-seen world, crafting a believable, almost neorealistic, western drama made with the cooperation of the Rodeo Cowboys Association, and featuring real-life stars of the era, such as Larry Mahan and Myrtis Dightman. He’s a dust eatin’, hell-fightin’, dynamite dude! 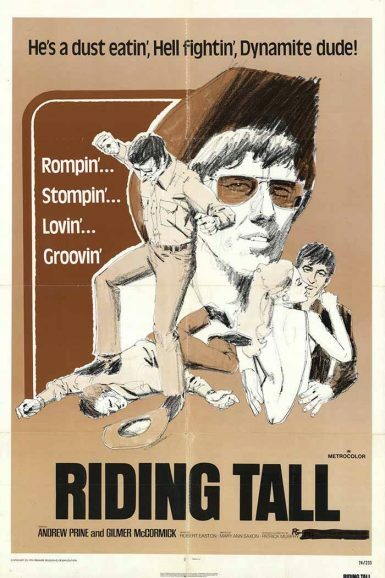 Rompin’… stompin’… lovin’… groovin’… and Riding Tall. 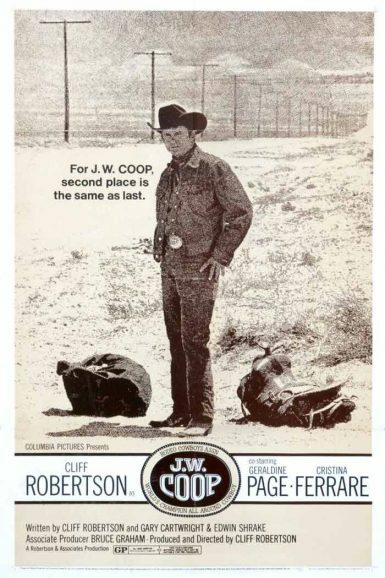 Andrew Prine plays a rodeo rider who’s never had much in life beyond dusty arenas, cheap motels, and barroom brawls. You’d say he was better at falling off horses than falling in love. But sparks fly when he meets a Vassar dropout (Gilmer McCormick), igniting a tender and bittersweet road romance between the two lost and lonely souls. Never released on DVD!